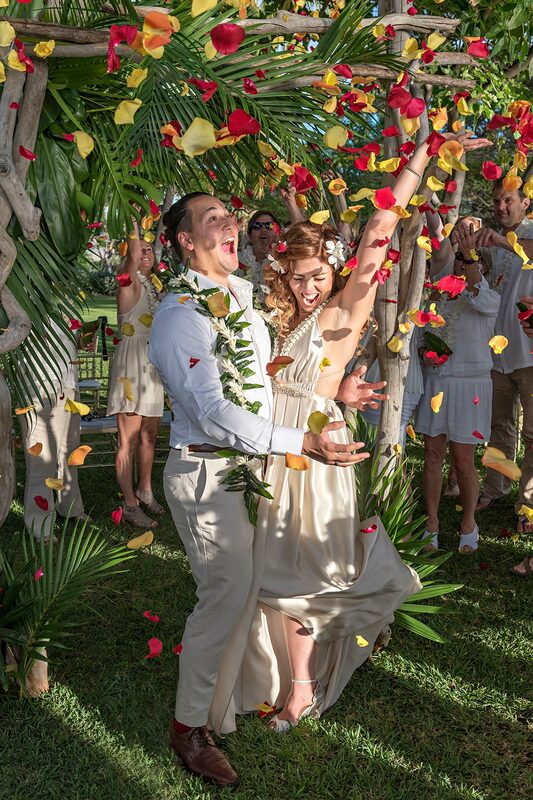 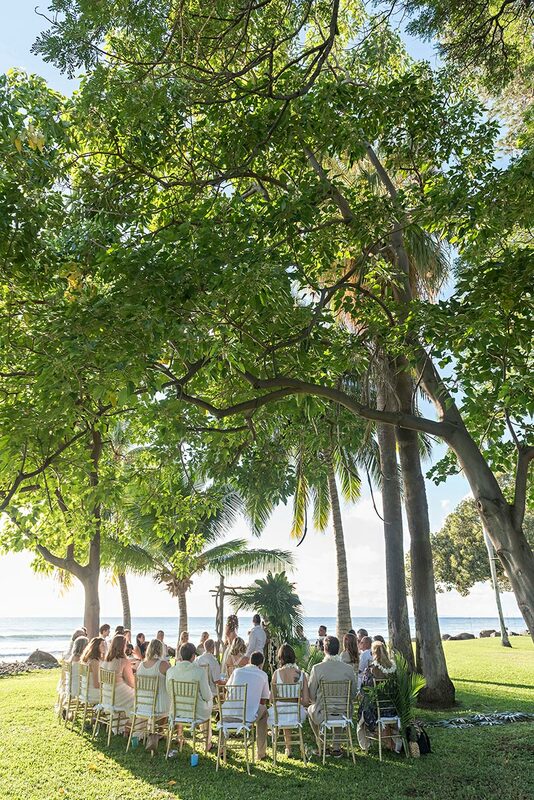 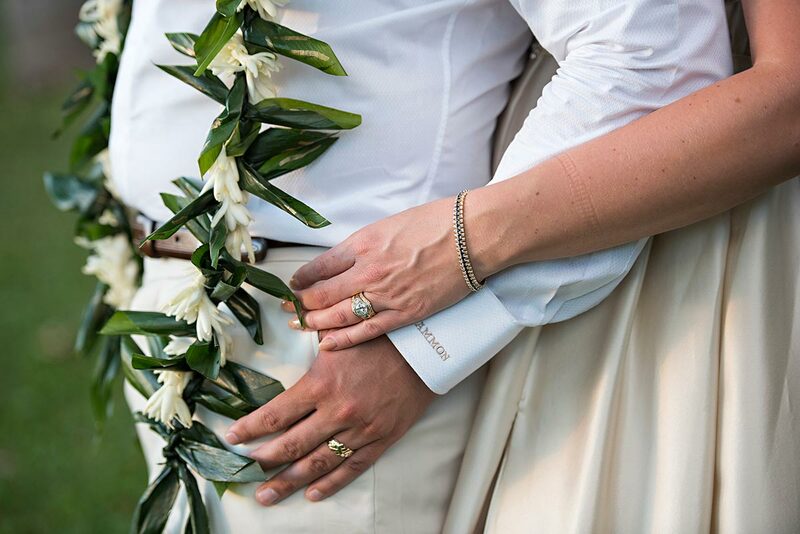 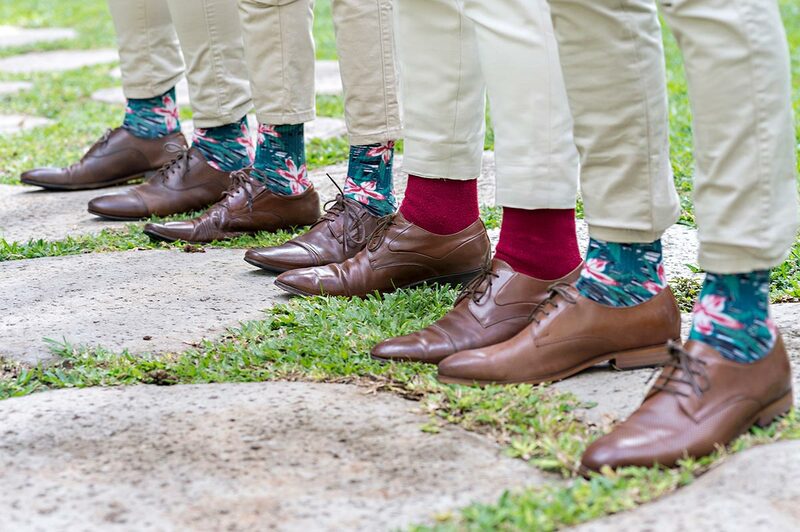 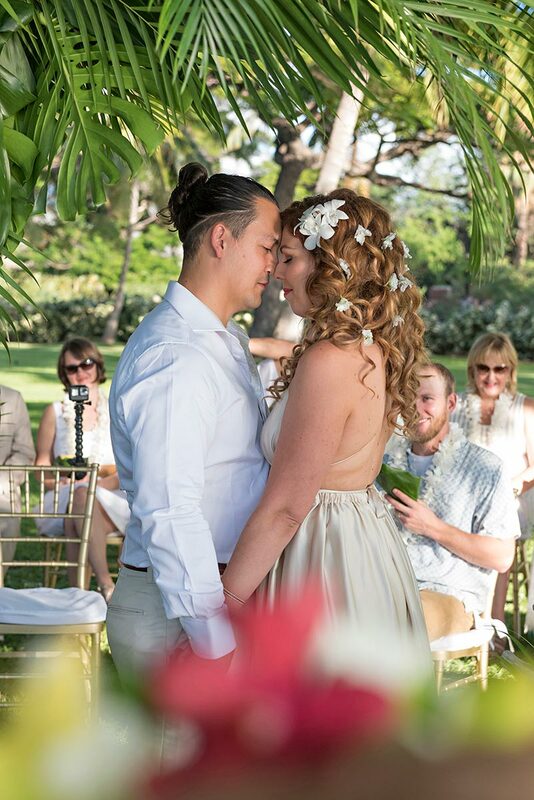 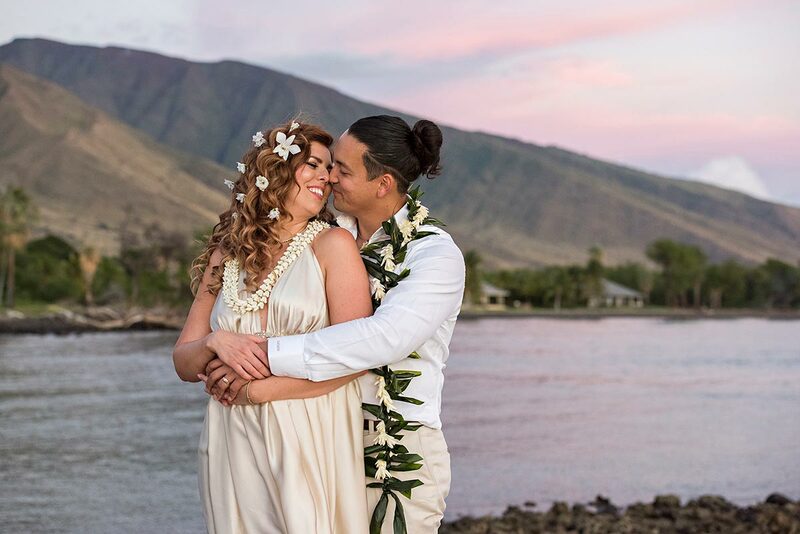 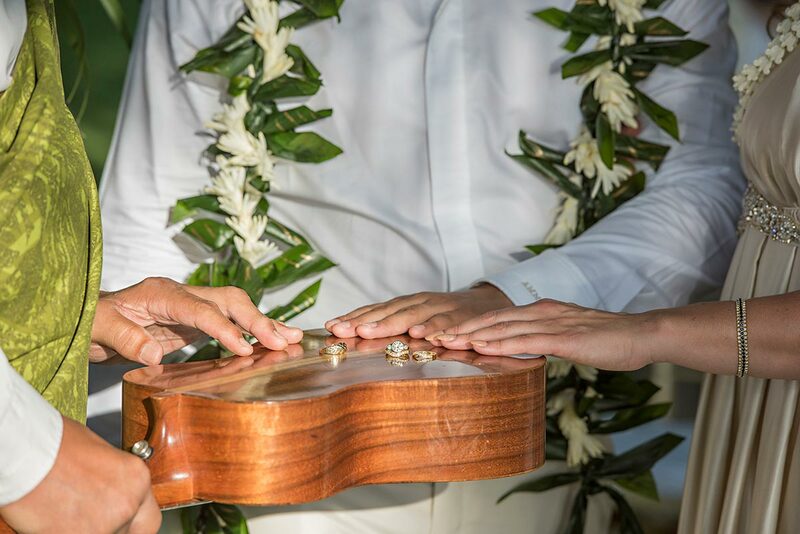 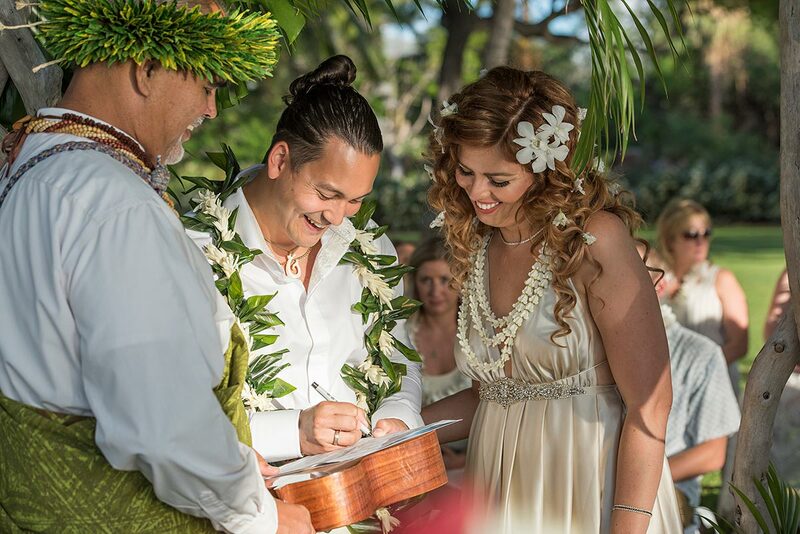 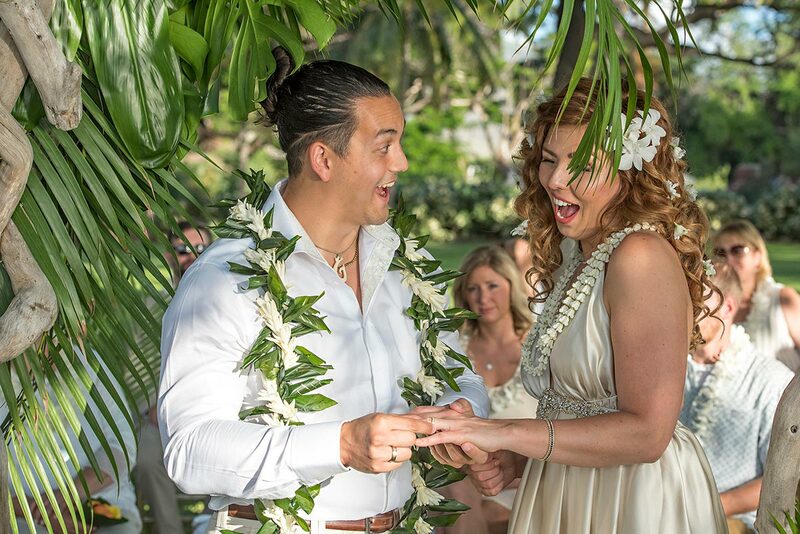 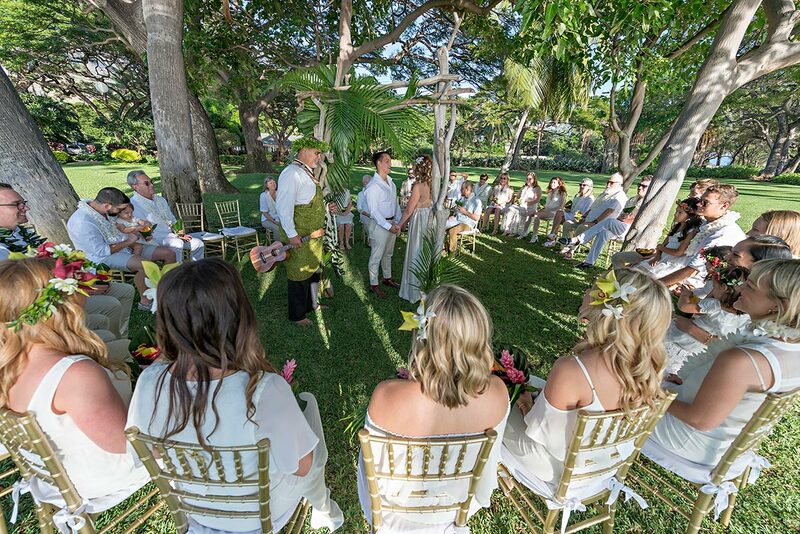 Ryan and Jess’s wedding at the Olowalu Plantation House was the perfect outdoor Maui wedding! 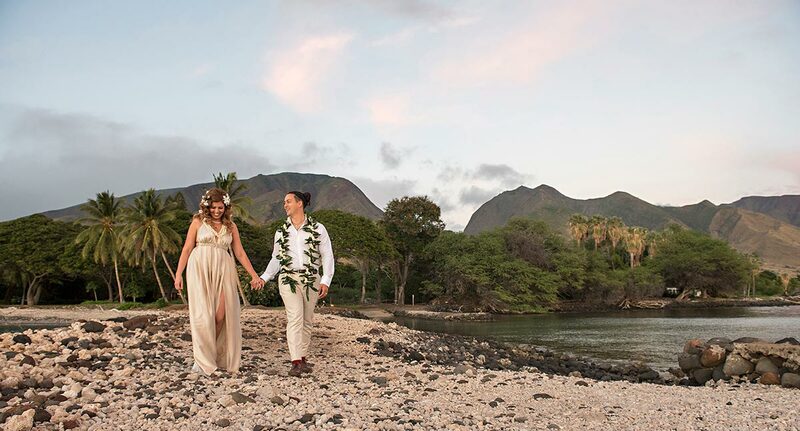 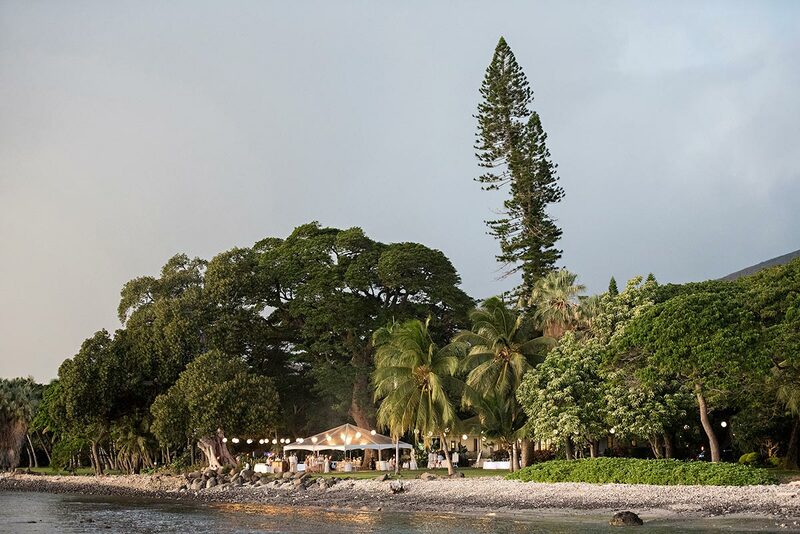 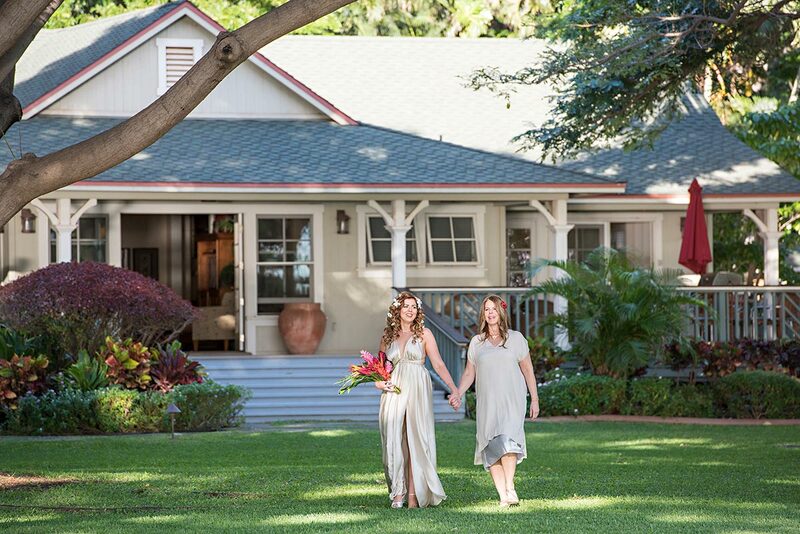 Olowalu Plantation House is one of our favorite venues for wedding photography on Maui. 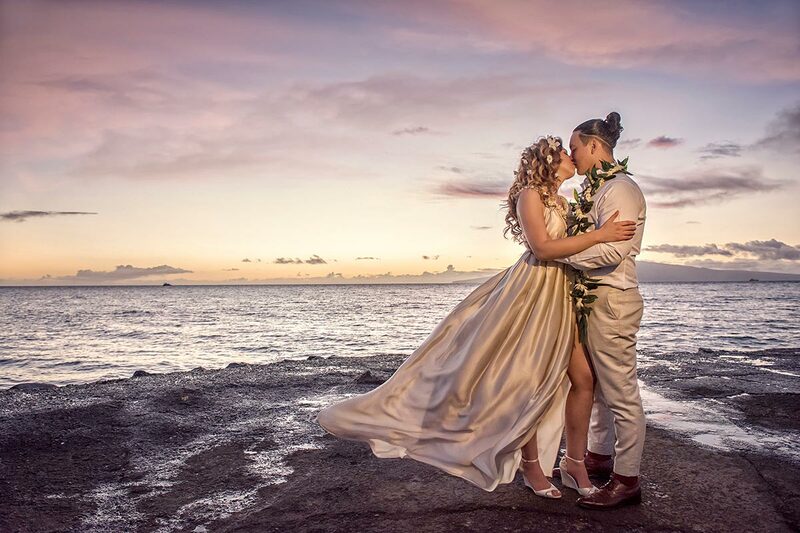 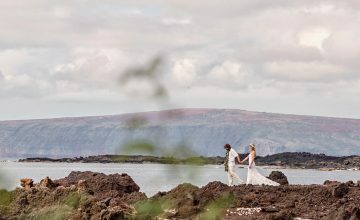 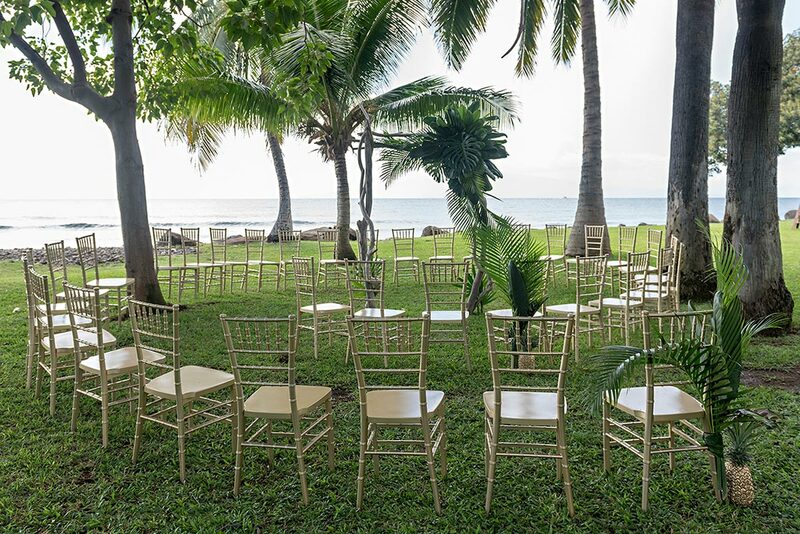 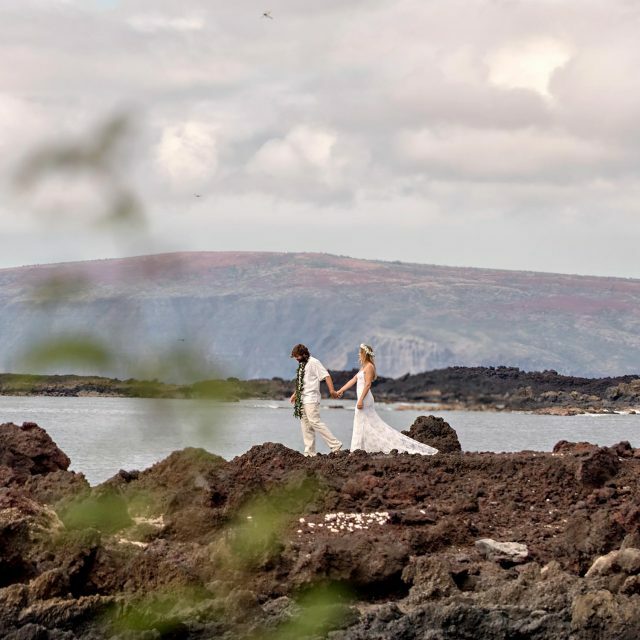 With the glistening ocean, swaying palm trees and golden sunset in one direction and the West Maui mountains in the other it is a top location for your wedding photographs! 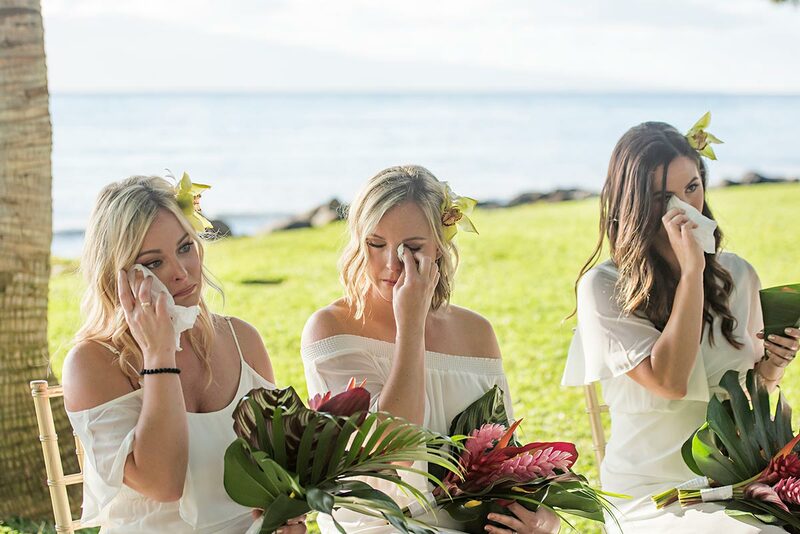 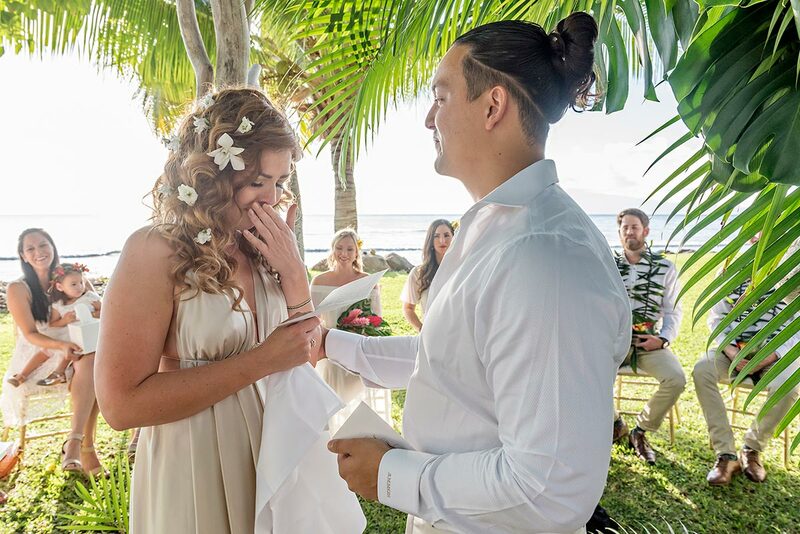 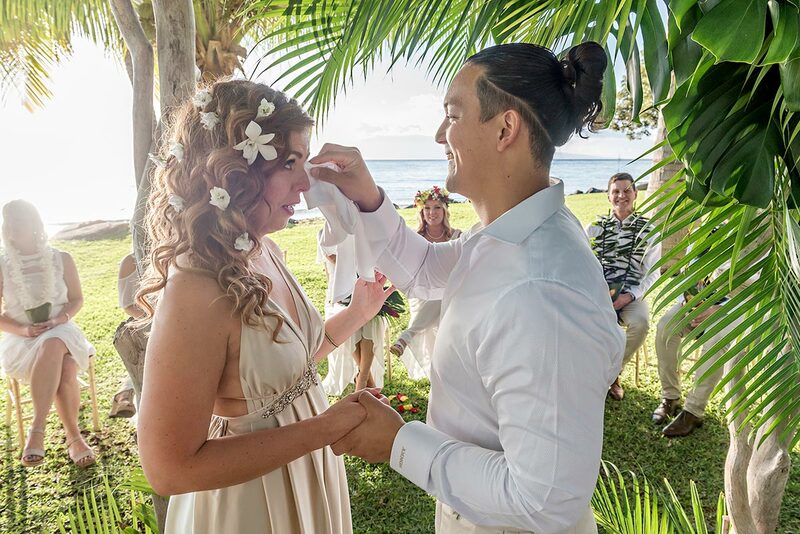 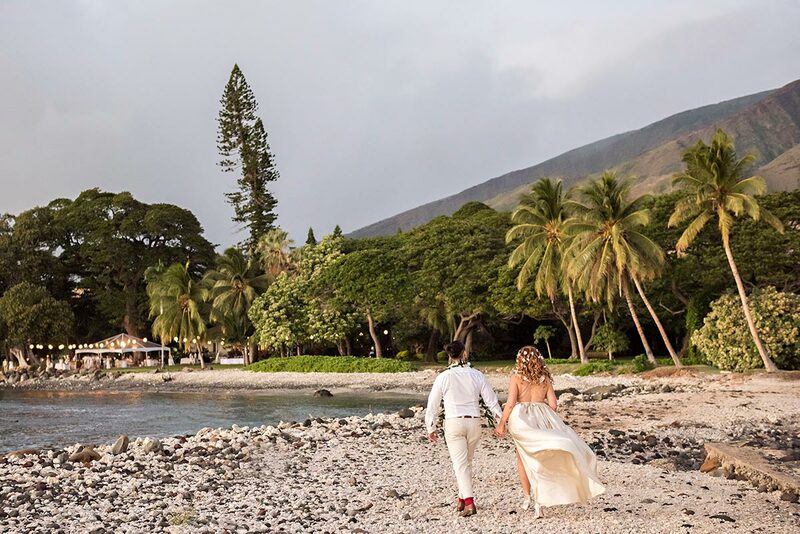 The weather on the wedding day was everything you’d expect from a beautiful Hawaii day. 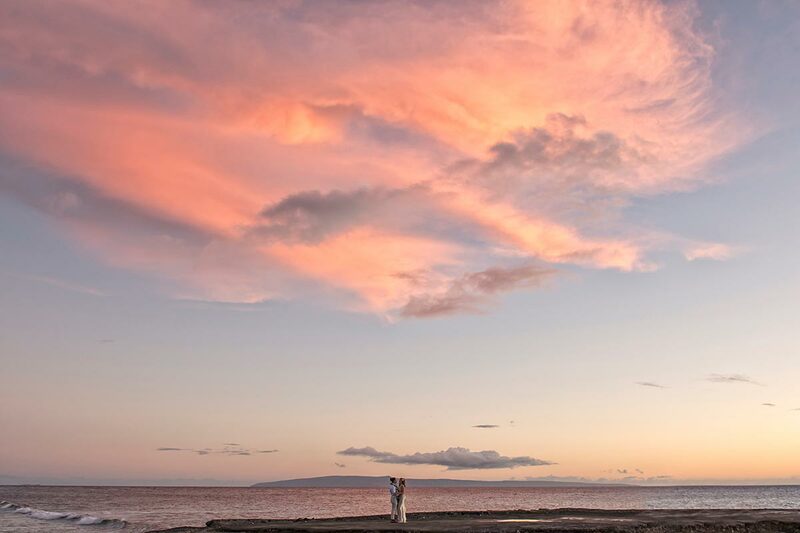 The location of the Olowalu Planation House did not disappoint with it’s breath-taking views and soft sunset hues. 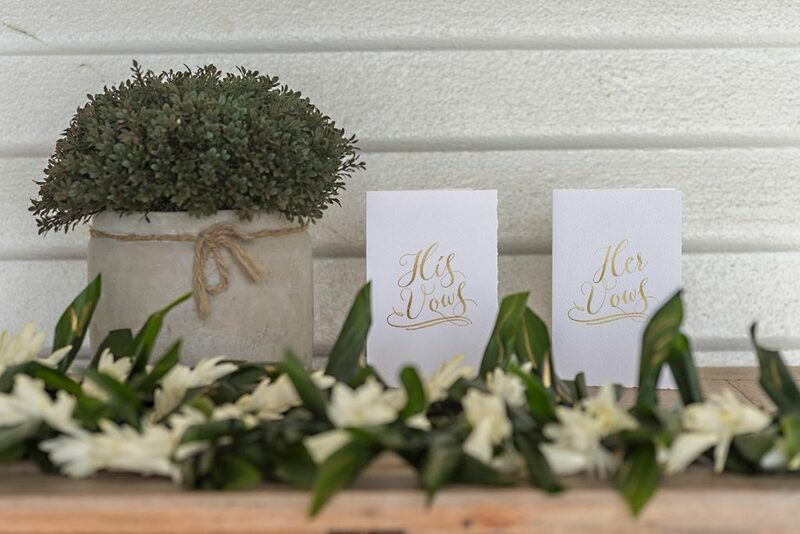 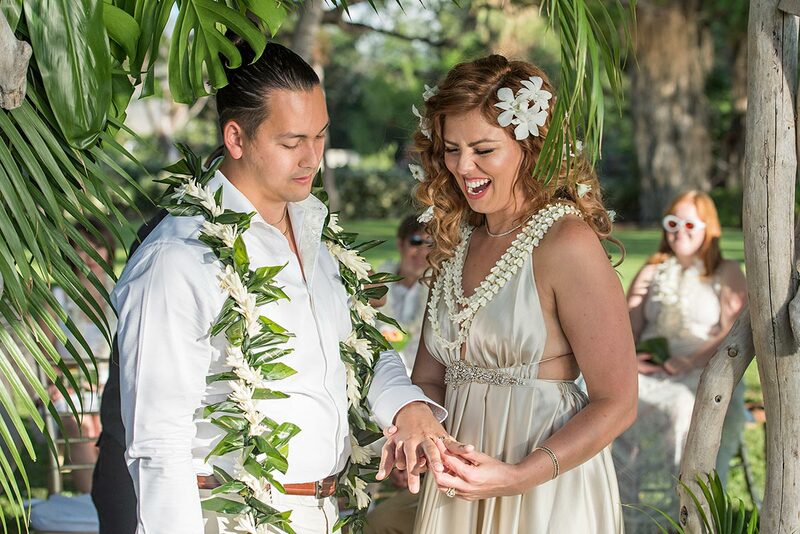 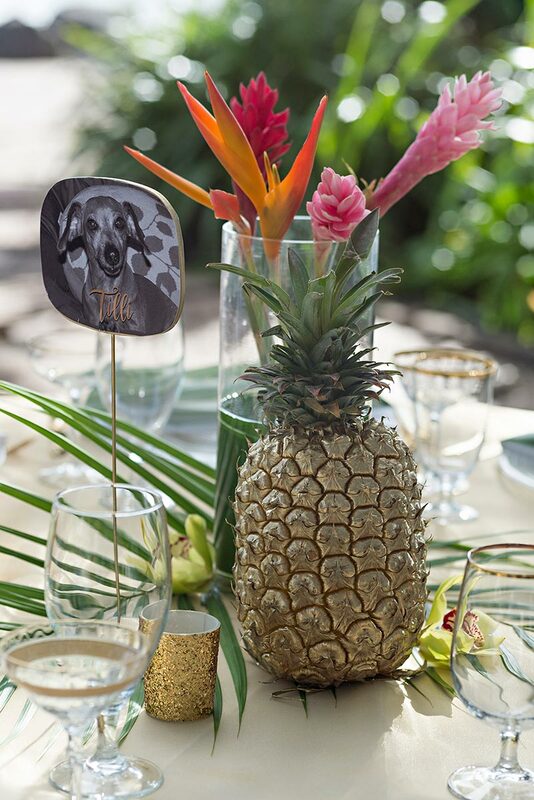 Jess & Ryan had a tropical Hawaiian wedding theme and kept their wedding details simple but stylish. 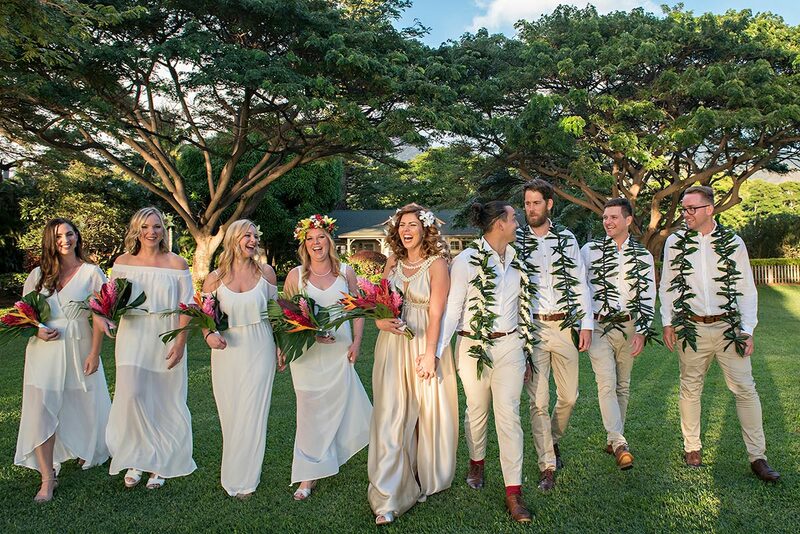 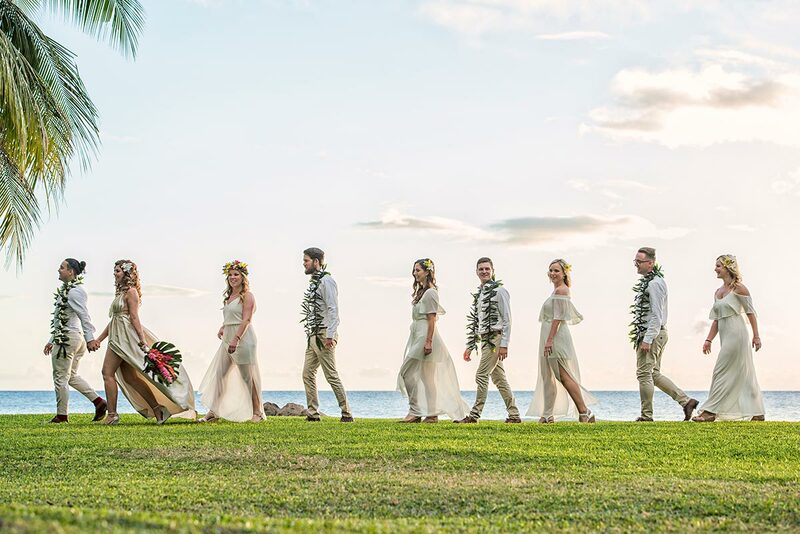 Their guests traveled to Maui from Australia and the USA and each of the guests wore white or cream outfits. 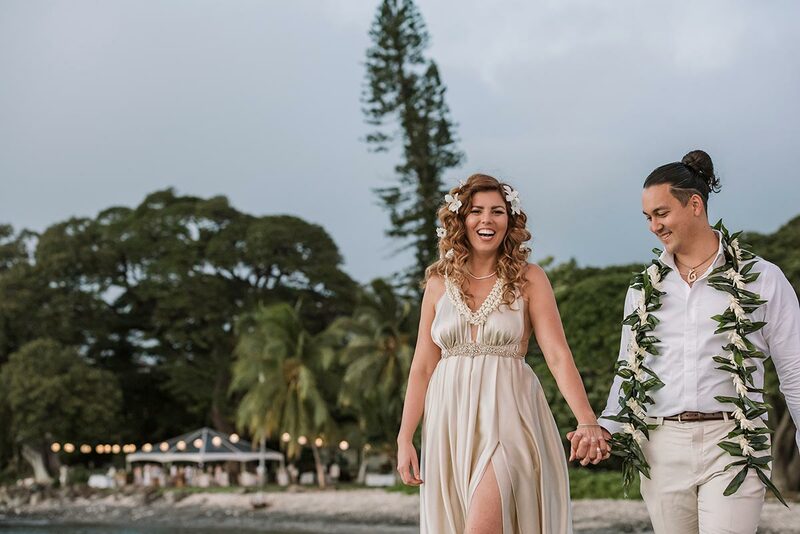 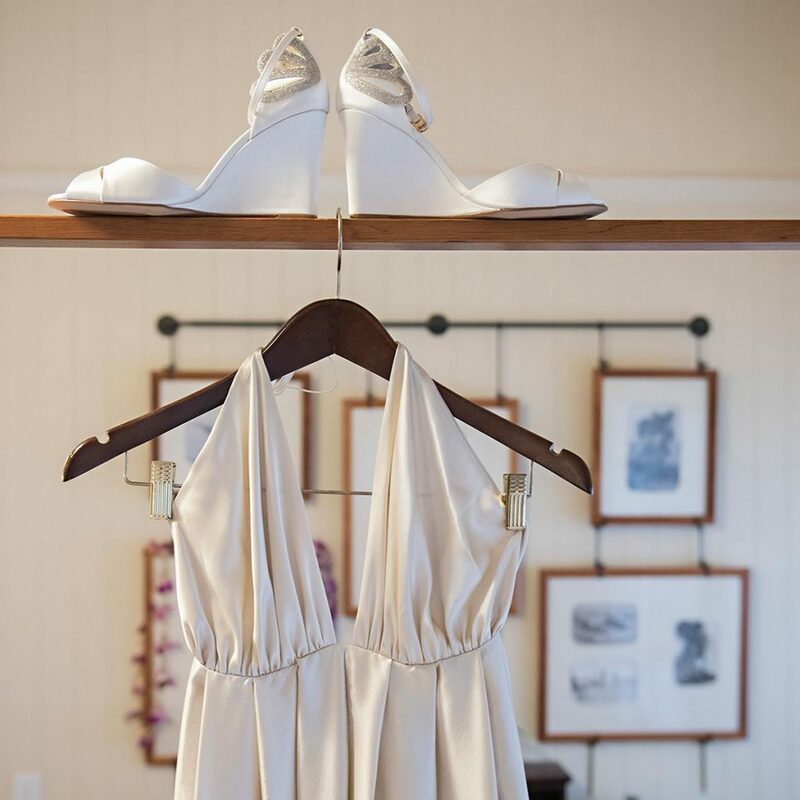 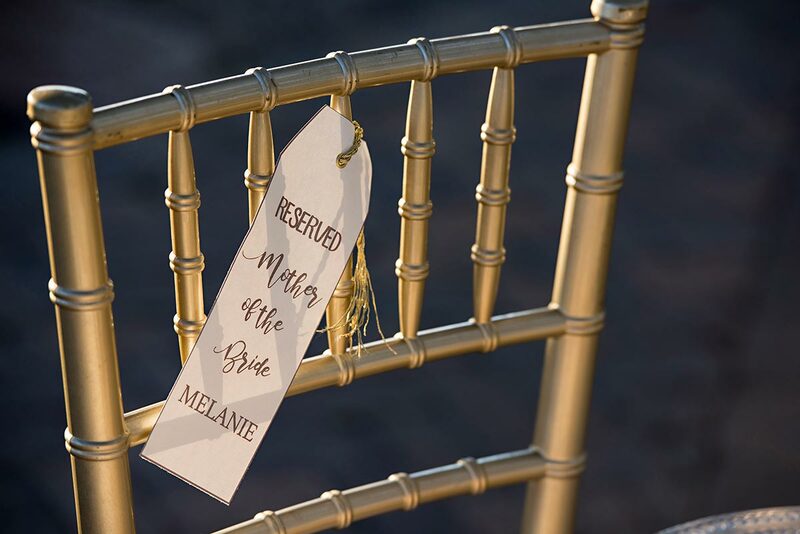 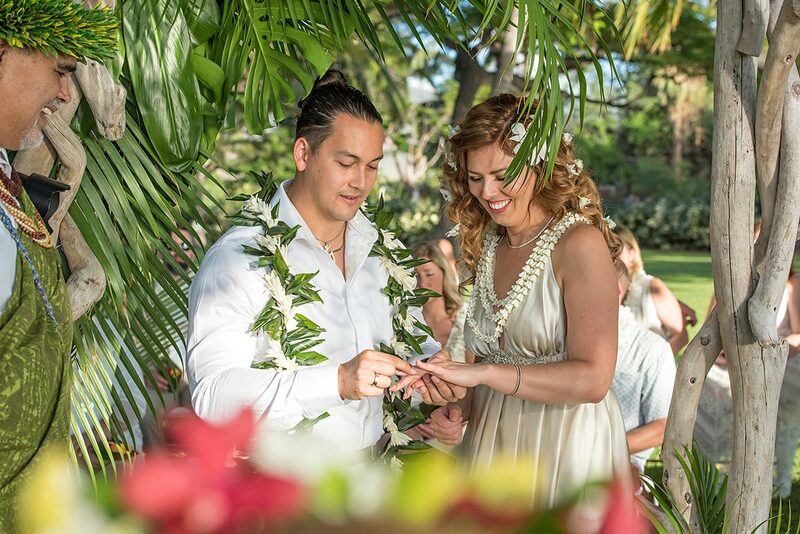 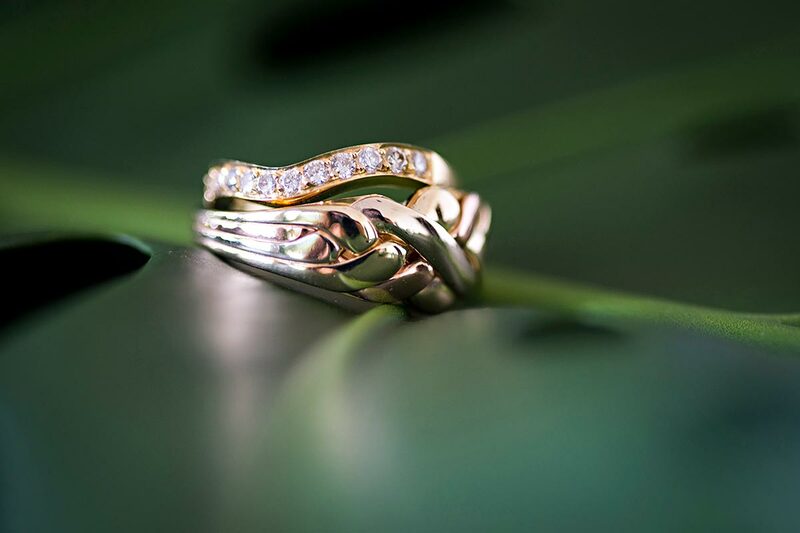 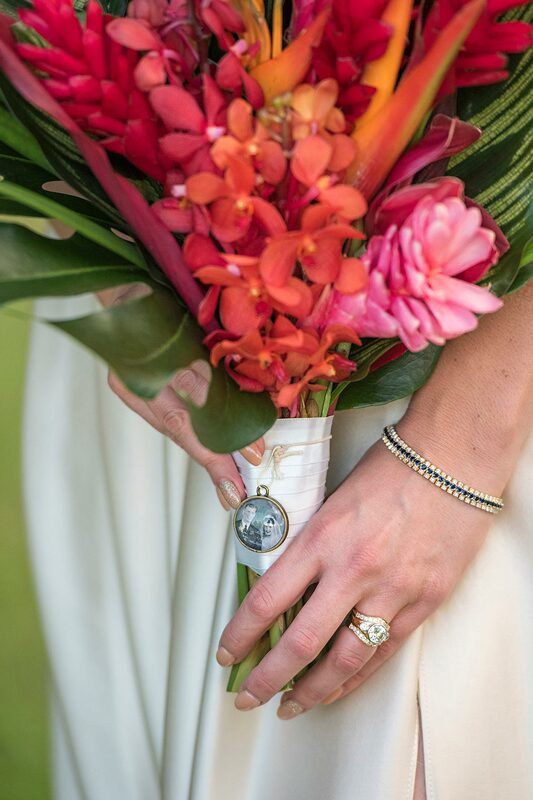 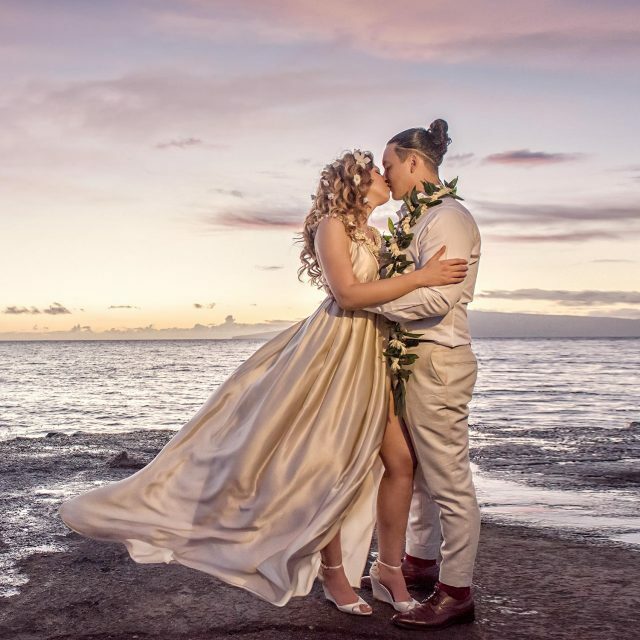 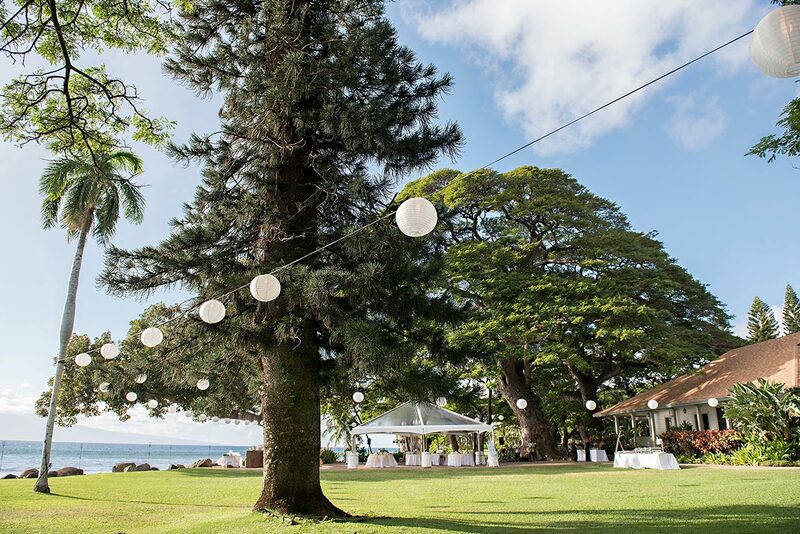 The bride looked stunning in a pale silk golden dress and the gold themed wedding at the beachside Olowalu Plantation House was fresh and tropical. 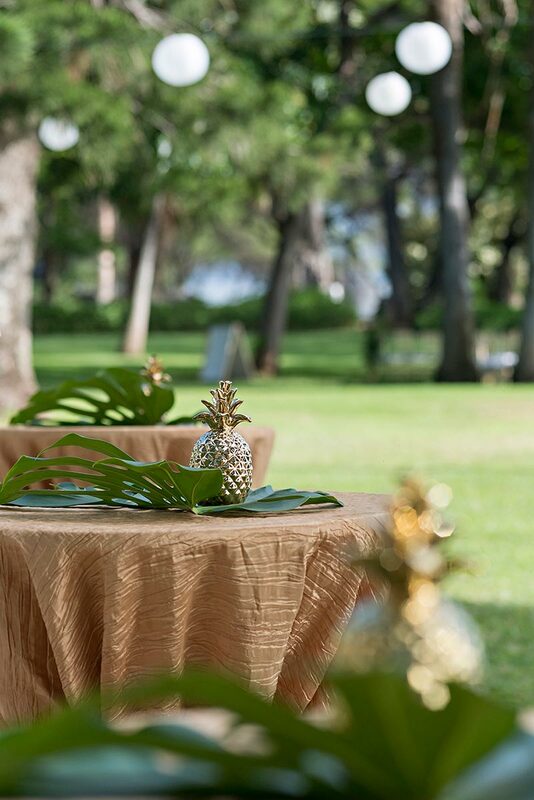 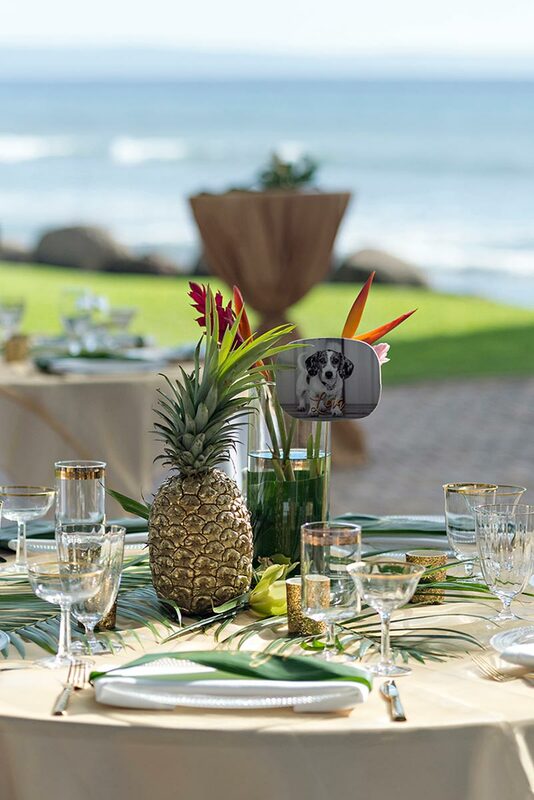 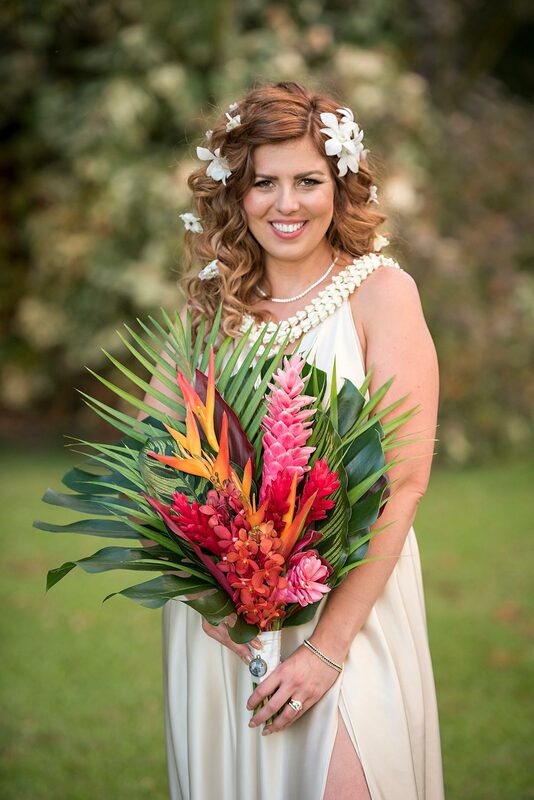 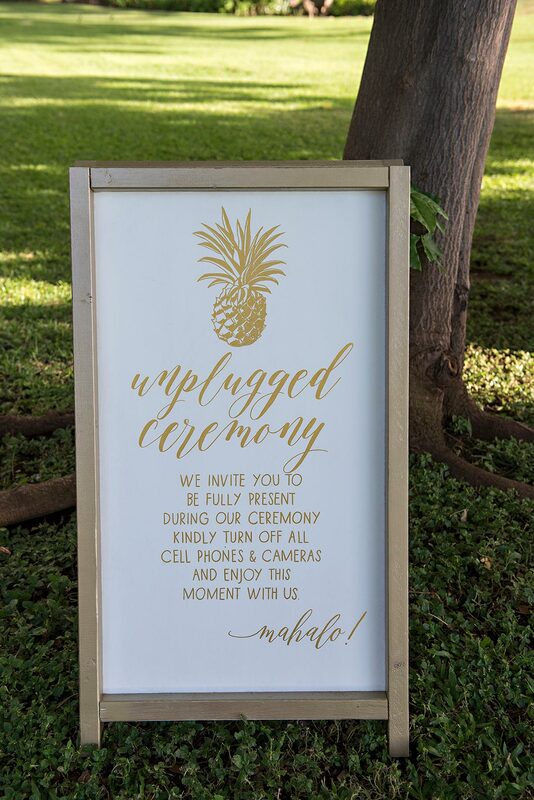 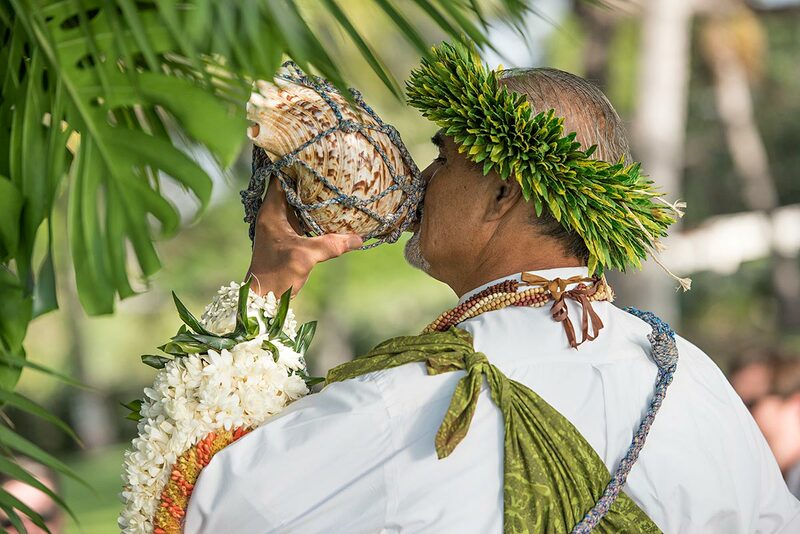 The stunning lush bouquets for the bride & bridesmaids, the golden pineapples adorned with tropical greenery, the unique circular wedding ceremony layout and a traditional evening luau all made for a breath-taking and memorable Hawaiian wedding day.